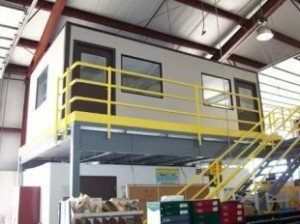 Metal modular buildings are creating a buzz in the building and construction industry. The interest in Panel Built’s metal buildings for sale comes as no surprise considering that their benefits surpass that of most structures built using conventional building materials. Players in various industries are opting for metal building structures when looking to expand their workspaces. Why Choose Metal Modular Buildings? Durability: Our structures are durable and will last a long time if they are installed correctly and maintained well. On the other hand, structures built with traditional building materials are prone to deformation and wear out faster due to climatic conditions. Low maintenance: Our panels require minimal maintenance and repairs. This, combined with their durability, make them worthy investments both in the short- and long-run. Reduced wastage on building material: Unlike traditional building materials, which have to be chipped or sized to fit, the components of our modular metal structure are molded into the desired shape and sizes with minimal wastage. Variety of designs: All metal constructions from Panel Built Inc. are designed according to the specification of the client. You can give use the drawings of the intended building and we will come up with the design. The metal structures can be shaped into different styles to achieve what you want. Easy installation: Whether it is a new structure or an extension of an existing building, our metal units will fit seamlessly. The installation is not only easy but will also be done fast, reducing your downtime. You will have your complete structure within a short time. Extensibility: Our modular buildings can be incorporated within already existing structures with relative ease. They can also form part or whole of the premise. Apart from this, they can come with pre-installed AC units, electricity, carpets, electricity and other accessories. Insect and weather resistant: The buildings we install are not prone to damage by insects and weather elements, unlike conventional buildings. By using our modular structures, you will save on repair costs during the lifetime of the structure. Environment friendly: As the world moves towards environment-friendly constructions, more businesses are looking for green options. Our structures are built with recyclable unlike traditional constructions that use material such as wood that lead to environmental degradation. The advantages of metal buildings make them one of the most cost-effective materials for industrial and residential constructions. Panel Built offers a variety of structures and our metal building prices will fit within your budget. At Panel Built, we provide numerous metal buildings for clients across various industries. Businesses looking to expand their production facilities, incorporate new office blocks, enhance security or utilize their limited space efficiently will benefit from our modular panels. We listen to your business requirements and fabricate metal panels that will help you keep your leasing or expansion costs down. Our range of commercial structures includes security booths, storage facilities, offices, railings, and stairs. 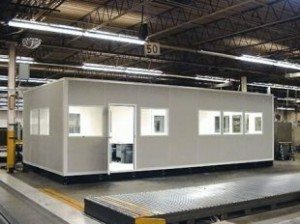 These structures are designed to fit into your existing buildings within a short time and without causing you a lot of downtime. Home owners have not been left behind in the quest for cheaper and durable housing solutions. While it is mainly businesses that have been looking towards modular building solutions, a number of homeowners are also going down this route. Panel Built has a line of products specially designed to give home owners extra space or additional rooms without significant increase in costs. Home owners who want to extend their houses or install security systems will benefit from our metal buildings. The low maintenance and durability of our structures make them excellent additions in the home or compound. We can install the structures in your house or outside for various purposes including guard booths, storage areas, car garages and barns. Our team works fast and depending on the type of structures you need, can take from a few hours to days to install. Our structures come pre-fabricated from the factory and will only require joining when on site. The structures have also passed all major quality tests and standards in the United States. Take advantage of metal buildings by Panel Built Inc. for homes and commercial buildings and enjoy their low maintenance and durability. To view our range of metal buildings solutions for homes, click here.